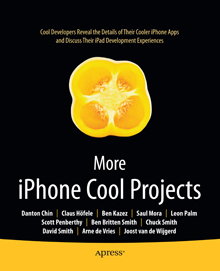 I’ve been so busy that I haven’t had time to post about the publication of More iPhone Cool Projects by Apress this past June. My fellow authors and I delve into a number of topics that should be of interest to many iOS developers. 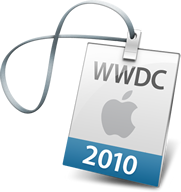 My chapter was based on 1) the talks I gave in 2009 on concurrency and my belief (at the time) that Grand Central Dispatch and Blocks were coming to iOS and 2) how to position iOS applications to take advantage of GCD and blocks by using operation objects and queues. 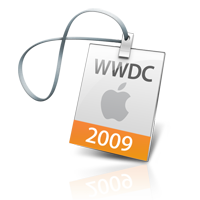 Fortunately, GCD and Blocks were added to iOS 4.0! Other chapters covered a number of other topics. Claus Hofele wrote about importing 3D art assets into your game; Ben Kazez wrote about using external data providers in FlightTrack; Saul Mora, Jr. wrote about unit testing; Leon Palm wrote about face recognition with OpenCV; Scott Penberthy wrote about OpenGL fonts; Ben Britten Smith wrote about developing games with Unity; Chuck Smith wrote about Cocos2d another popular gaming framework; David Smith wrote about AVAudioPlayer; and Joost van de Wijgerd and Arne de Viries wrote about using push notifications in eBuddy. The eBook version can be purchased at a discount from Apress using the discount code IPHONEDEVELOPERJOURNALDZPDD. It’s a 50% discount off the eBook price which is good until January 30, 2011. Of course the book is available at all the popular online bookstores Borders, Barnes and Noble, and Amazon. ~ by Danton on October 31, 2010.